Despite what their name might suggest this was a guitar quartet from the Crumlin/Dolphin's Barn area of Dublin. Formed by Mick Casey and Damien Callaghan in 1979 with original rhythm section Paul (Pete?) Murtagh (bass) and Dermot Jeffares (drums). In 1980 they won a battle of the bands competition held as part of the International Festival of Music at the RDS in Dublin in 1980, beating Galway heavy metal outfit Night Rider. 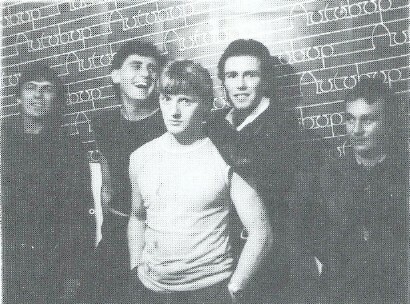 Their 1982 demo was described in Hot Press as "well constructed pop songs delivered with clipped cogency, and pitched somewhere between Squeeze and Joe Jackson." 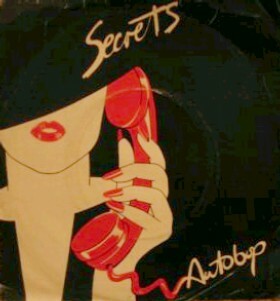 Autobop became a five piece in June 1983 with the addition of singer Terry Finnegan (ex AWOL, High Heeled Sneakers). John Byrne was also briefly a member of AWOL and The Gorehounds. He is now better known as journalist George Byrne (Hot Press/Evening Press). Mick Casey was killed in a car accident in the '80s.